I've been seeing lots of AR uppers in .224 Valkyrie for sale, don't know anything about the cartridge. EDIT: At first I thought the music in the video was a bit much - then I realized, "Ride Of The Valkyries" by Wagner.......got it. I'm sometimes slow on the uptake. Last edited by Dan 0351; 04-11-2019, 09:47 AM. 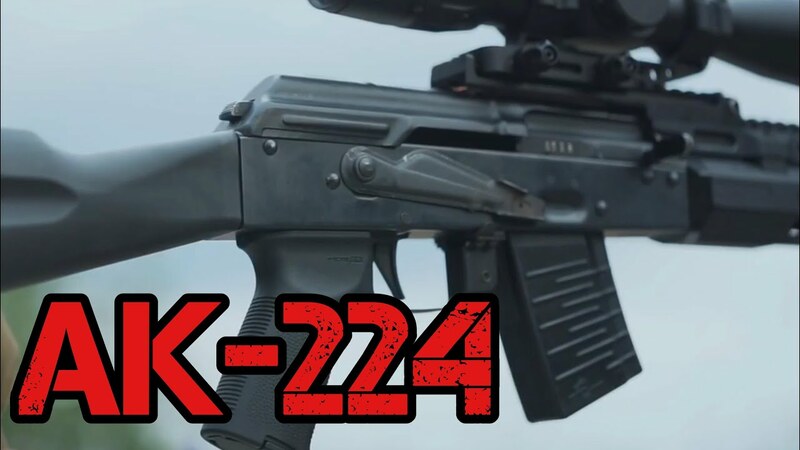 So they finally invented an AK that can actually hit the side of a barn? You can give them .408 CheyTec's and they still won't hit the side of a barn with it. A bunch of conscripts running and shooting at the hip, more afraid of being shot by their own officers will not get them on paper! Anything to try to make an AK possibly hit a target that it's aimed at. That's why. Why you ask, because people are bored and have too much time on their hands to waste on non-sense. Now if someone can take the original AK design and make itshoot sub moa now that’s amazing!! It is only in theory sub moa battle rifle is a great idea, in reality it is technically impossible to make one. You can either have sub moa gun or battle rifle. Some day it will happen, I'm sure but not now. P.S. I'm not counting sub moa guns that looks like battle rifle but would never survive any real action. Funny you say that, my Garand can! Would you not consider that a battle rifle? Absolutely is! But I would categorized it as formal battle rifle. I do not thing Garand would fit in modern battle rifle category.